We’ve had a flurry of newcomers to the Breakfast Stock Club recently – welcome! Whether you’ve been with us for a while, or you’re brand-spankin’-new, you know that stock photography is all about selling photos. But you’ll never sell a thing if you never actually start. So here’s a little refresher to get you excited to start. Today. Right after reading this note. Designers, bloggers, and businesses of all sorts need images for their projects, and stock sites are a great place to find the photos they need for an affordable price. Since buyers are looking for a huge range of images, there’s opportunities for all types of photographers. Selling your photos as stock won’t likely make you rich, but it can be a great side-income that works for you while you go off and do other things. 1.) It’s perfect for all skill levels. Unlike other photographic specialties, you don’t need a top-of-the-line camera or tons of experience to get started. Stock photography is open to anyone, no matter your experience level. Why not make some side income while you learn photography? 2.) You’ll become a better photographer. Stock inspires you to get out your camera and shoot more. You learn what works and what doesn’t in a low-pressure way. I really think it’s one of the best ways to improve your photo skills. 3.) It helps you document your life. Some of the most successful stock photographers simply carry their camera and document their day-to-day life. That’s it. Not only can you sell these photos, you’ll also capture tons of memories that might have slipped by otherwise. 4.) It’s fun! Did I mention stock is totally low-pressure? All you need to do is photograph what you like. And it’s really fun to find one of your photos in use. 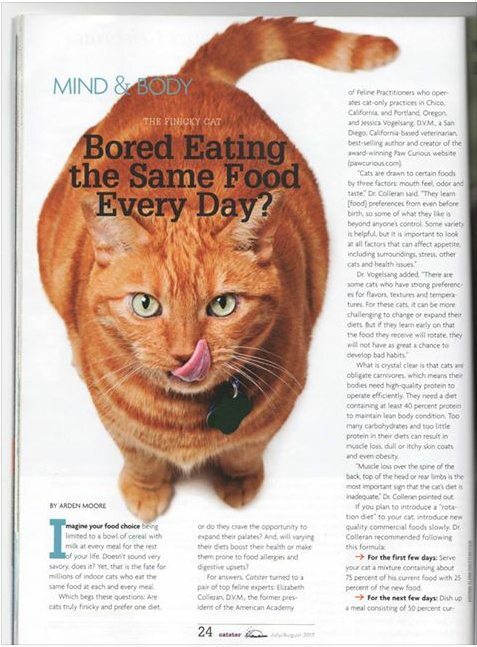 Just recently, Breakfast Stock Club Member Katrina Trninich was paging through a copy of Catster Magazine at the vet’s office, and came across one of her photos! 5. It’s a simple way to make some money. Once you put in the initial time submitting photos to your stock agency, there’s literally zero work after that. For years to come, your photos have the potential to earn you totally passive income. … which is why you need to start NOW! Breakfast Stock Club Premium members can refer to the get-started video guide on their member page at MyTravelPrograms.com for videos walking you through signing up and submitting to three main agencies. If you’re not a Premium member, yet, try it out here. Anyone can become a stock photographer. Since it’s one of the easiest photography markets to break into, there’s no reason not to give it a try – and today is the best time possible to start.